A grave illness hit the animals. I asked the Holy Virgin of Guadalupe of Mexico to look after my animals. With all my heart, I entrusted my goats, piglets, chicken and asked to not lose our corn field. 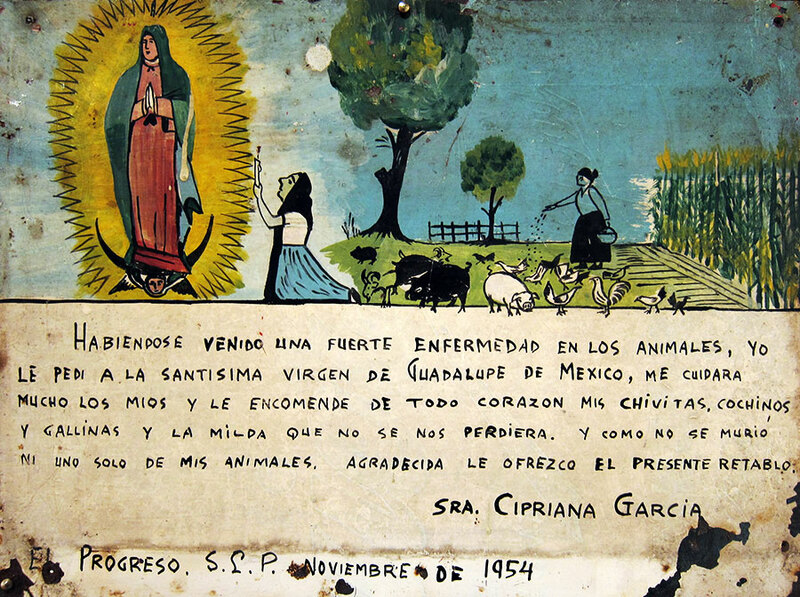 Since no animal died she thanks offering the present retablo.